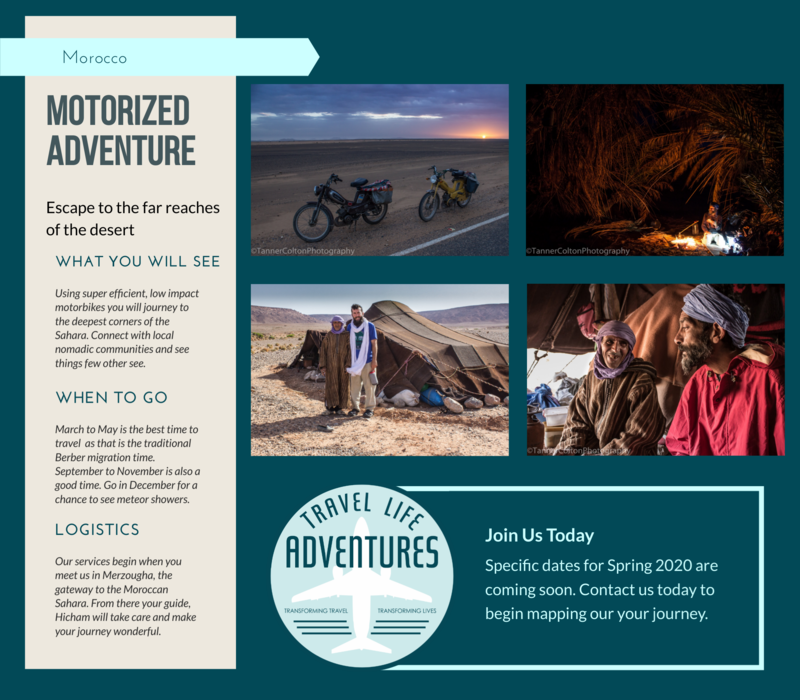 A place of amazing contrast and infinite space, Morocco beckons to those who hear the call of something wild and free. The map of your journey leads as much into the depths of your own soul as it does through the dunes and mountains of the desert. There is something to be found in the silence of solitude, in the vastness of endless sand, and in the ancient culture of one of the oldest places on Earth. Movement. Maps, Space. Time. These are the things Morocco brings into your life. Your walk is yours alone and your journey is waiting for you here. 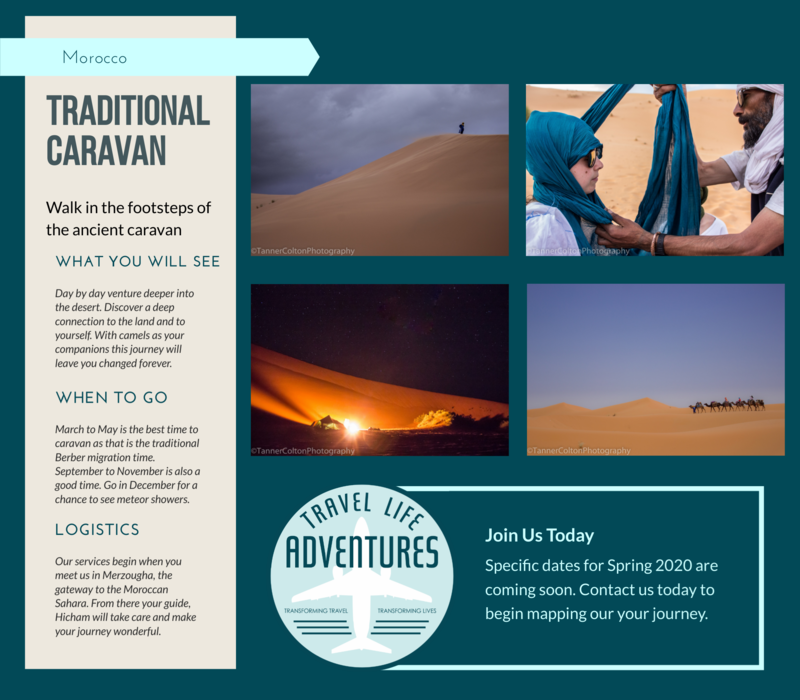 Come and join us in Morocco Spring 2020! Specific dates to come soon. Let us bring you into the world of sand and culture that only Travel Life Adventures can offer. Are you ready to hear the call to adventure?